This recipe is another request from my dear friend Lois. 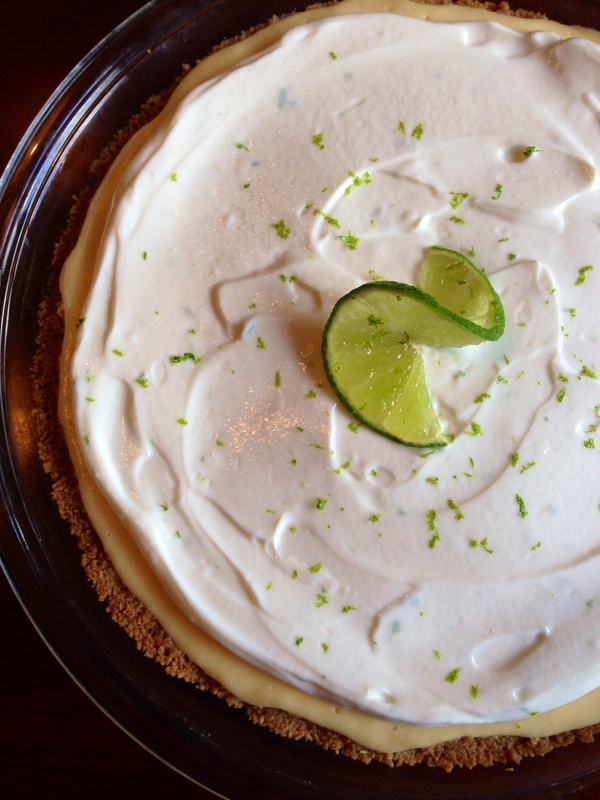 Luckily my sister had recently made a healthy version of a key lime pie, so this one wasn’t much work at all – just a few tweaks from her original because I’m not a huge fan of citrus desserts. 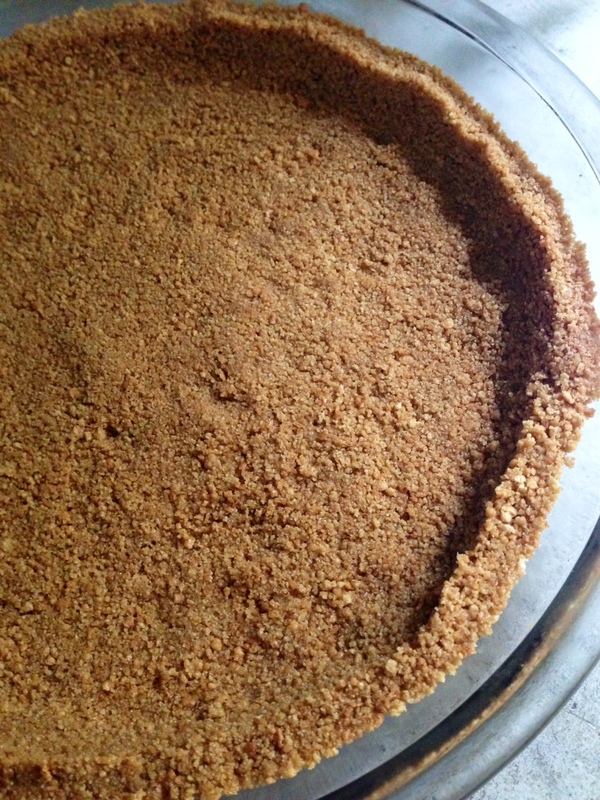 And I also think she made hers with a ginger snap crust; all I had were graham crackers in my cupboard. This pie is made primarily from non-fat greek yogurt, so it has tons of protein. Plus, the crust is also completely butter-free…so eat up! CRUST: Do this ahead of time. Put 10 graham crackers in a food processor and pulse until the crackers have turned into crumbs. Slowly drizzle 5 TBSP melted coconut oil into the crumbs. Press into the bottom of a glass pie dish. You can also make with gluten free graham crackers, if you prefer. Pre-bake in a 350 degree oven for 10 minutes. Put in the freezer for an hour when it comes out of the oven so the crust will be nice, crisp and cold when you pour the filling in. FILLING: Stir these ingredients together. TOPPING: Stir these ingredients together right before serving. DIRECTIONS: When the pie crust is baked and chilled, pour the filling into the crust and bake at 325 degrees for 25 minutes – it will still be jiggly. Chill pie for at least 2 hours. 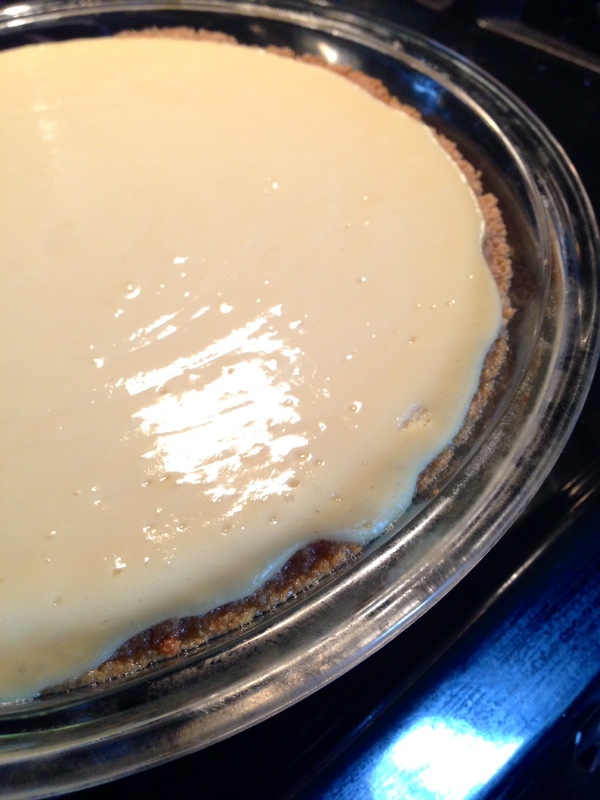 Just before serving, make the topping and spread an even layer over the pie. Garnish with the reserved lime zest and a slice of lime, if desired. Enjoy!